Filmmaker Tobe Hooper, whose 1974 gore film "The Texas Chain Saw Massacre" was a trailblazer in the horror genre, has died. He was 74. The Los Angeles County coroner's office said that Hooper died Saturday in Los Angeles, reportedly from natural causes. Hooper was one of a group of pioneering directors in the 1970s and '80s (including George Romero and John Carpenter) whose films shocked and grossed out an eager audience. He directed the 1982 supernatural film "Poltergeist" (from a script by Steven Spielberg), and the 1979 TV movie "Salem's Lot," adapted from the Stephen King novel. But Hooper was best known for 1974's "The Texas Chain Saw Massacre," in which the villainous Leatherface and his motley family of cannibals terrorize a group of young people who made the fateful mistake of turning up at an isolated homestead. Made for less than $300,000 and shot on 16mm, the film would go on to gross about $30 million domestically. While it was banned in several countries because of its gore, the movie was also screened at the Museum of Modern Art in New York City. Critic Roger Ebert called the film (not entirely dismissively) "as violent and gruesome and blood-soaked as the title promises," and that it was "really a lot better than the genre requires." "Texas Chain Saw Massacre" would inspire a host of splatter films in its wake. Hooper himself directed a 1986 sequel, starring Dennis Hopper. In 2014 Hooper told Indiewire that he believed audiences of today "get" the ironic humor of "Texas Chain Saw Massacre" better than when the film debuted in the 1970s. "There is this kind of, I don't know, Thanksgiving-dinner-in-Texas-with-a-big-family feeling about it, where if you back away far enough from it you'll see a family start fighting and it will become funny because it's based in truth. It's ironically funny," he said. A native of Austin, Hooper was a college professor and cameraman who shot documentaries before trying his hand at directing the psychedelic 1969 film about hippies, called "Eggshells." 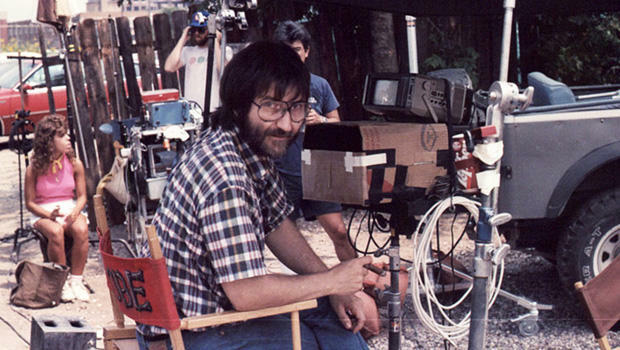 Following the success of "Texas Chain Saw Massacre," Hooper would direct numerous horror stories for film and television. His 1979 adaptation of "Salem's Lot," about a town plagued by vampires, starred David Soul, James Mason and Lance Kerwin, was praised as one of the most terrifying TV films ever. Other notable credits include "Eaten Alive," "The Funhouse," "Lifeforce" (about vampires from outer space), "Invaders From Mars," "Night Terrors," and "Toolbox Murders." He also directed episodes of the series "Amazing Stories," "Freddy's Nightmares," and "Tales From the Crypt," and the Billy Idol music video, "Dancing With Myself." His last film was the 2013 supernatural thriller "Djinn." "It was a complete piece insofar as things were really working and not compromised by a committee," he said. "It will be the film, just as 'Gone With The Wind' was Selznick's. I think it's on his tombstone."